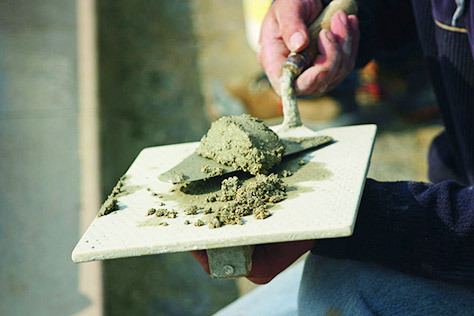 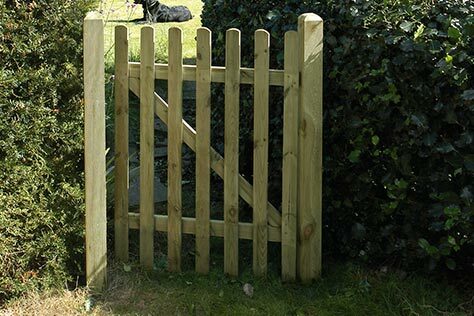 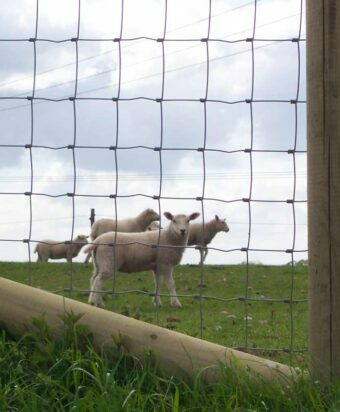 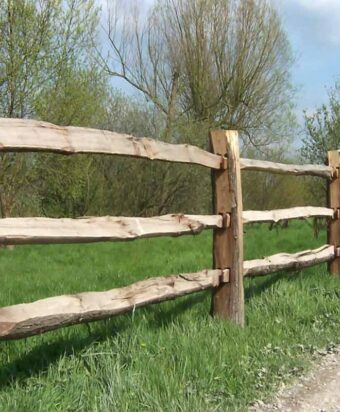 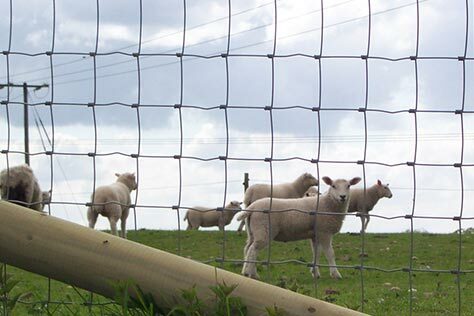 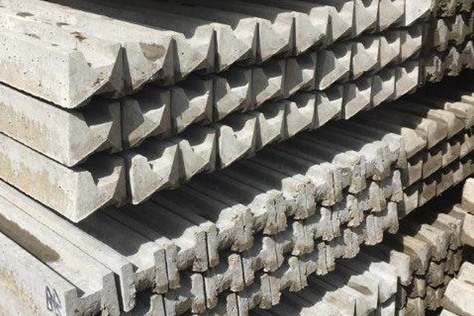 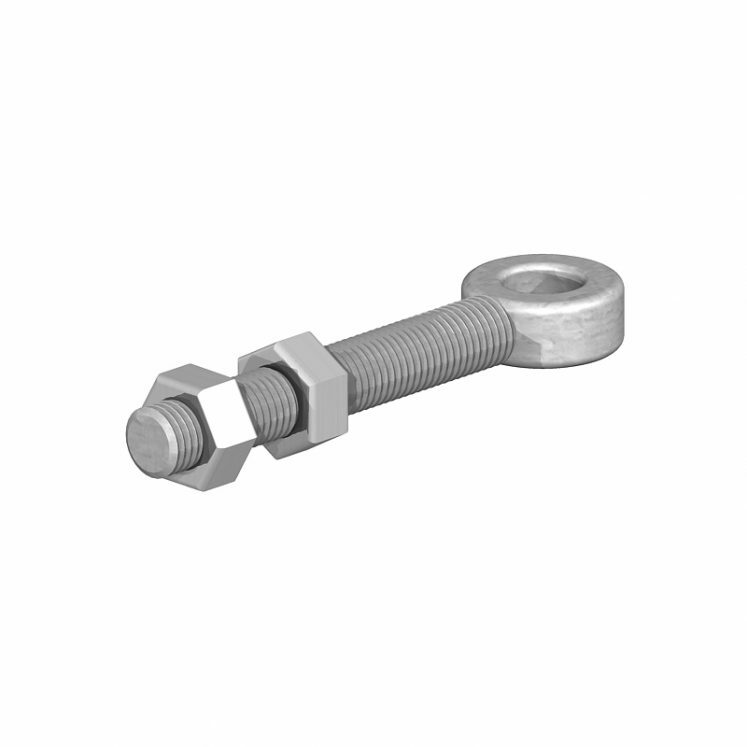 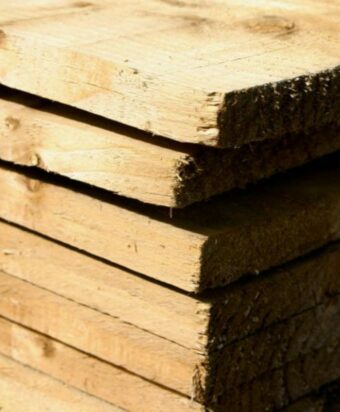 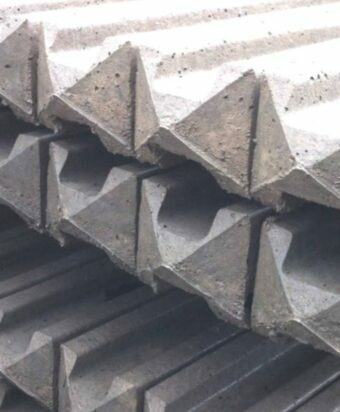 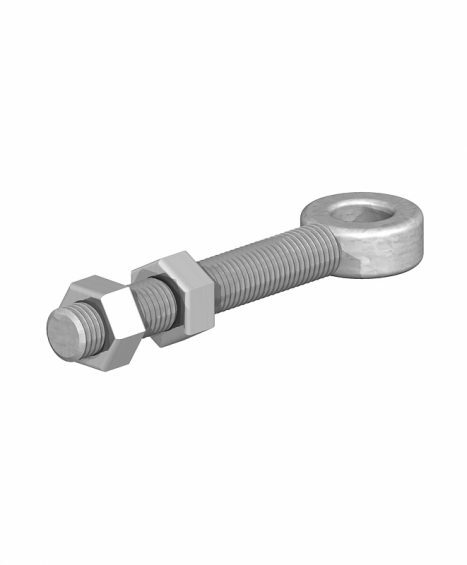 At Four Seasons we supply a variety of different fittings to help build stability to your gate or fencing. 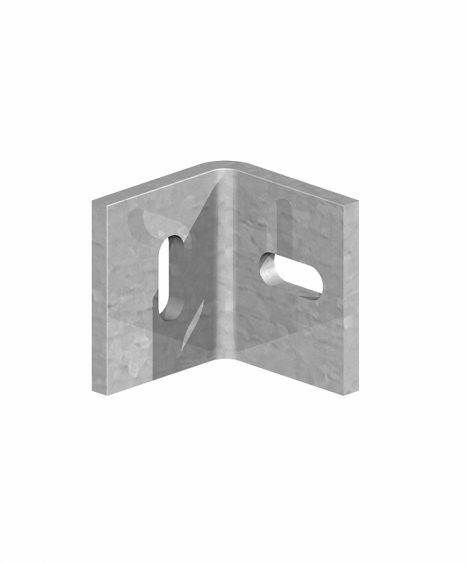 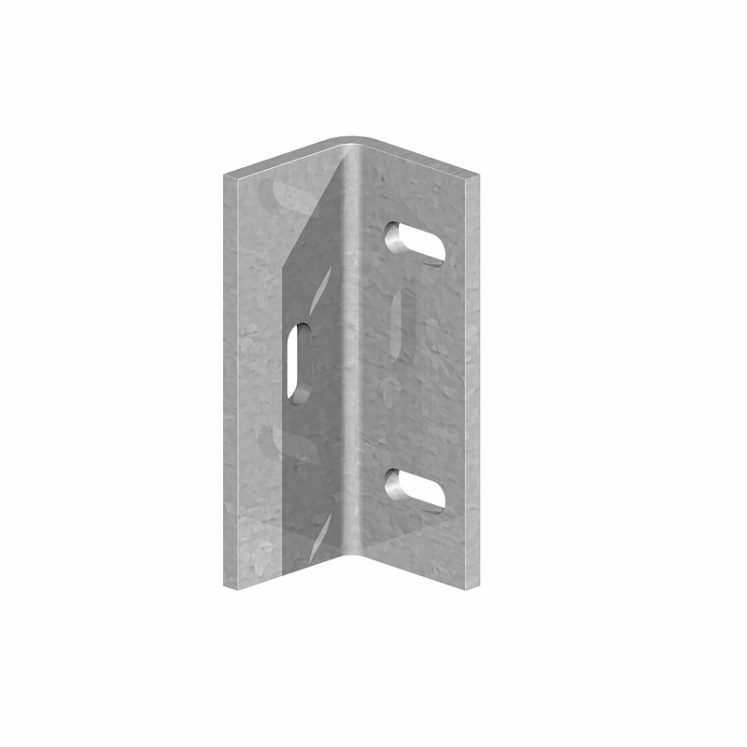 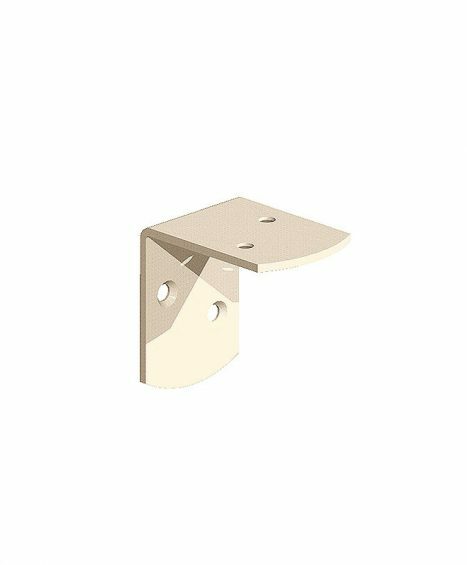 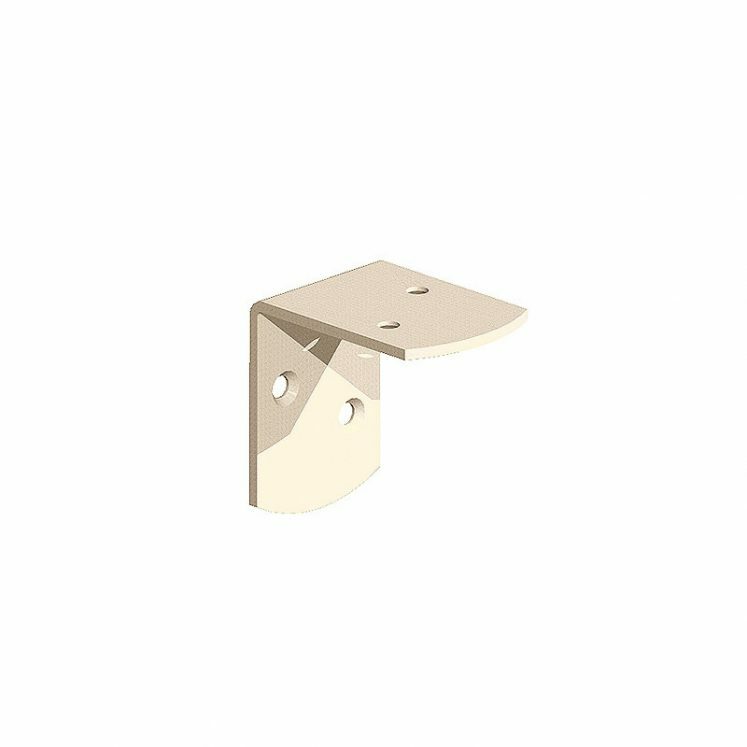 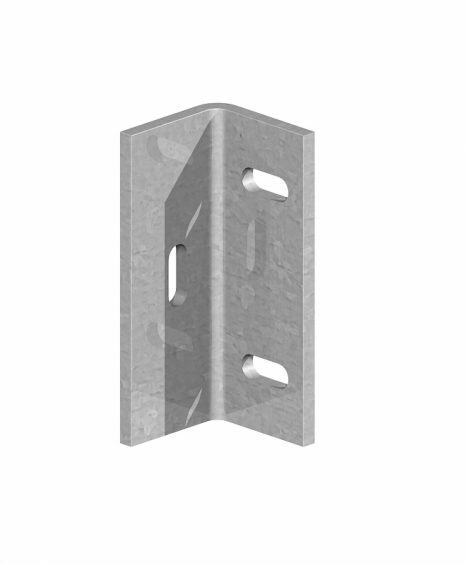 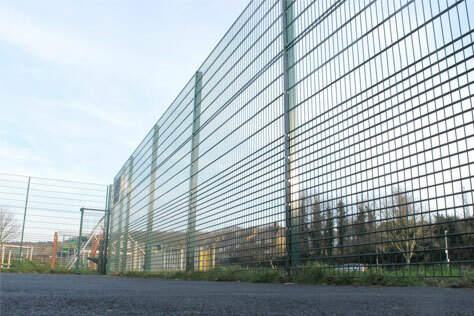 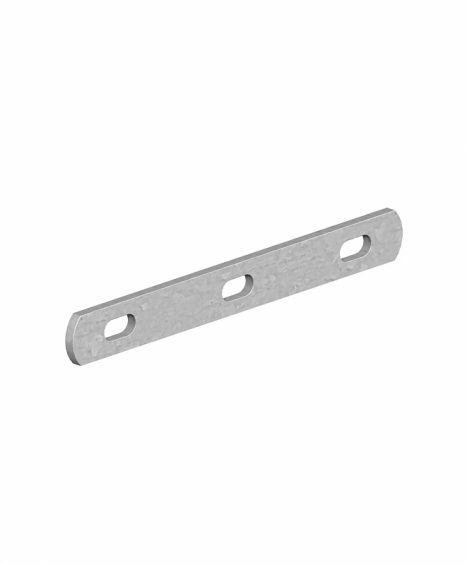 Our range includes Angle Cleats, Anti Theft Brackets and Barbed Wire Spacers all in which are designed to be super durable and long-lasting. 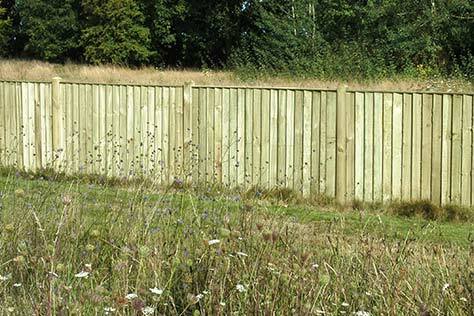 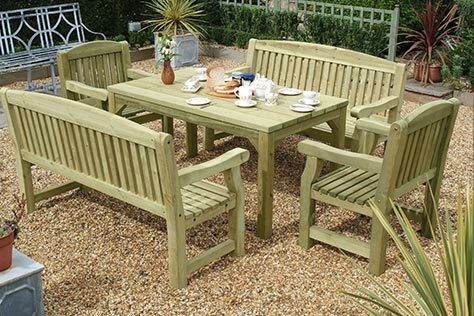 If you are unsure as to what fittings to purchase please feel free to give one our fencing specialists a call on 01233 820420. 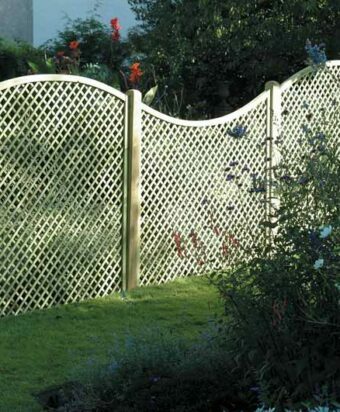 Sizes available in 14, 18, 24 and 36″. 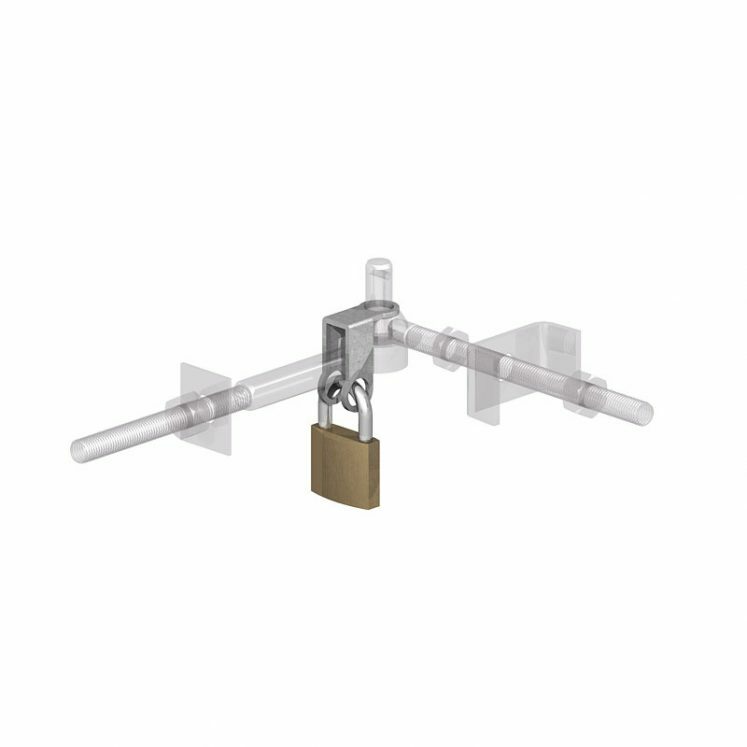 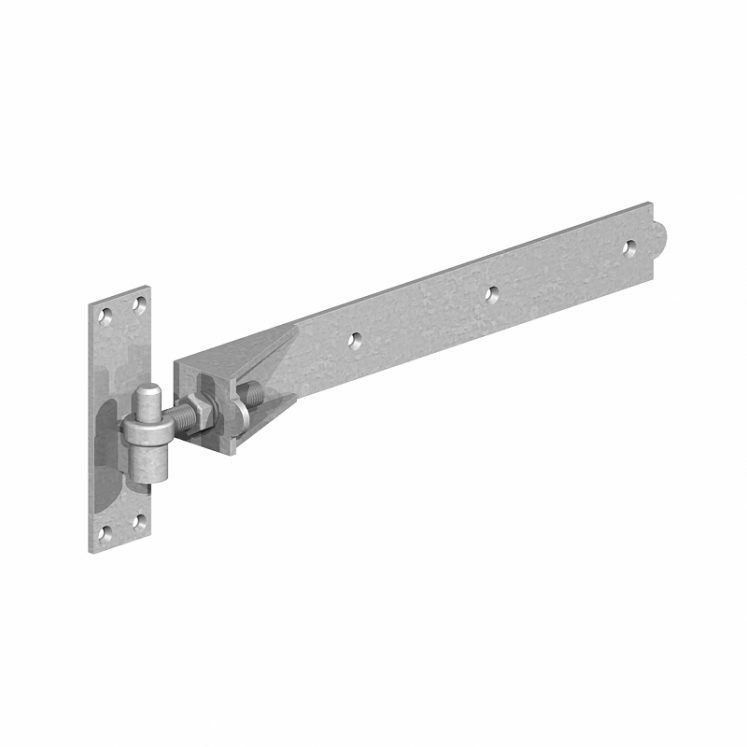 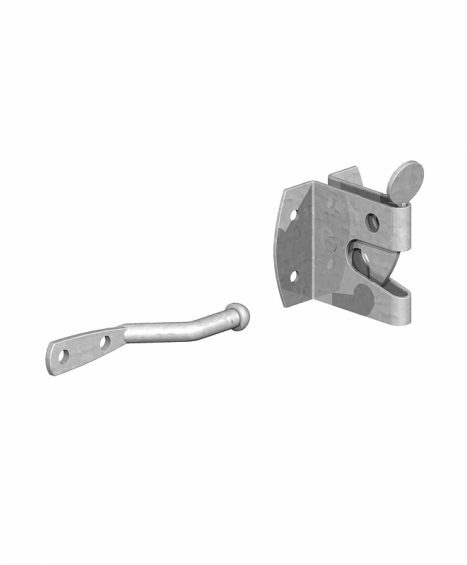 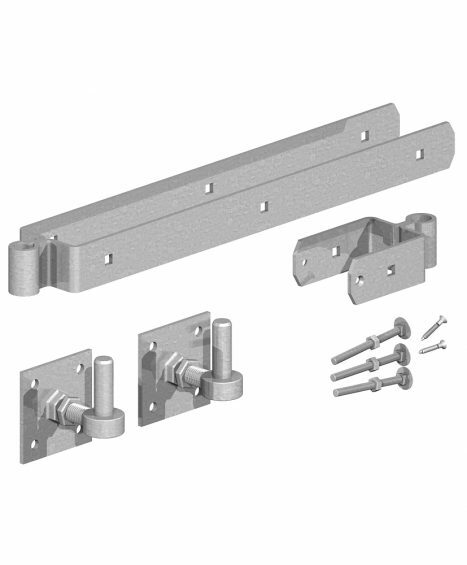 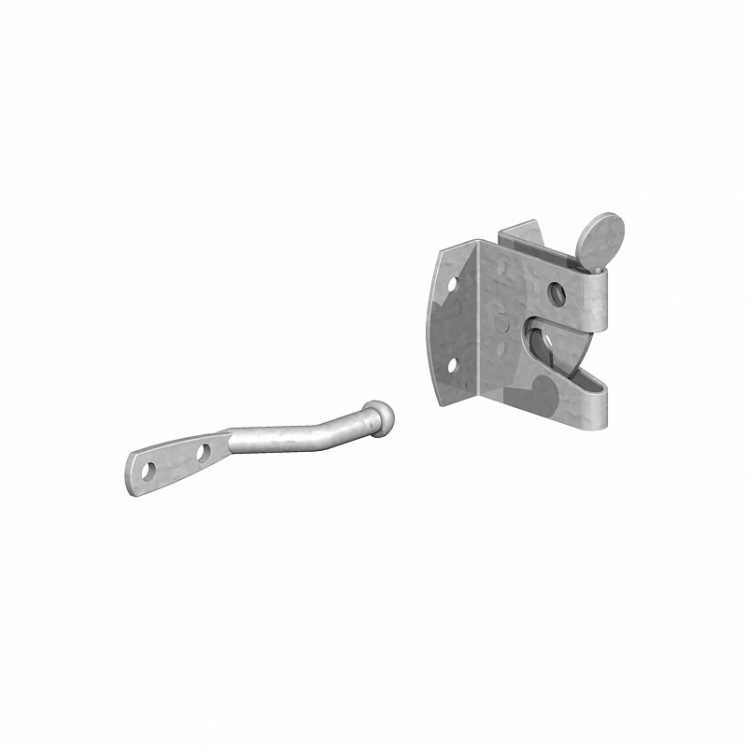 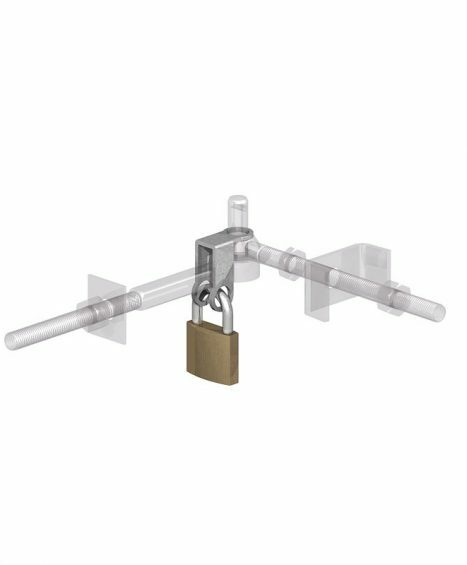 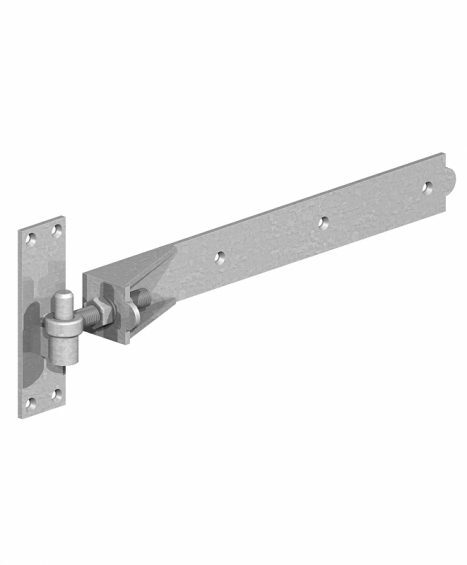 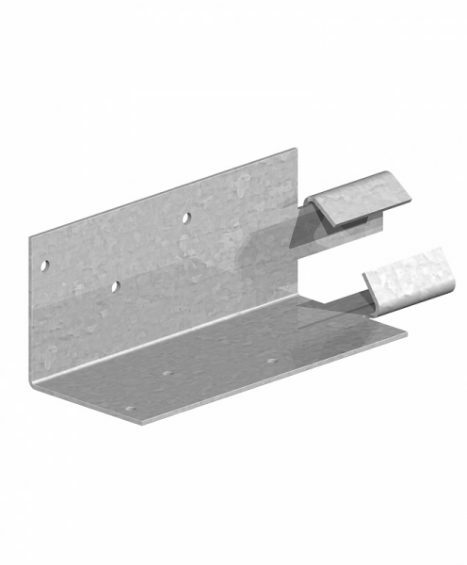 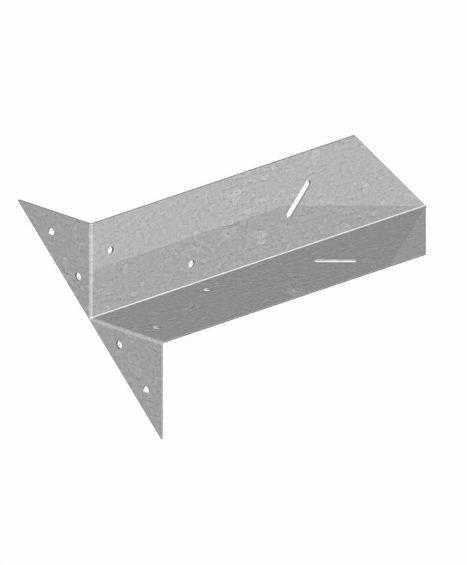 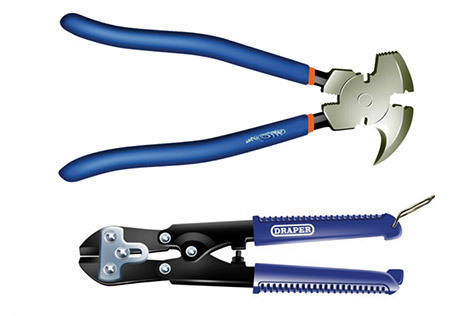 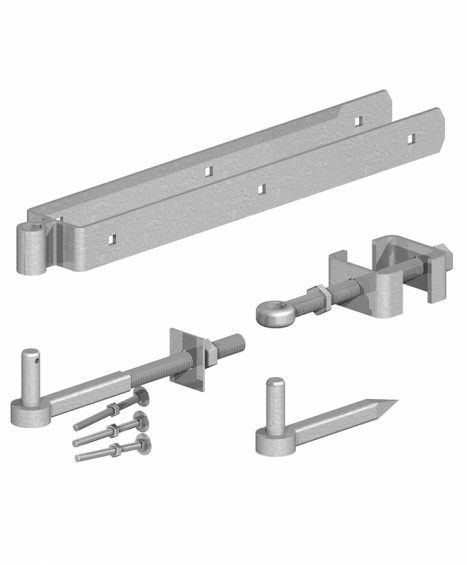 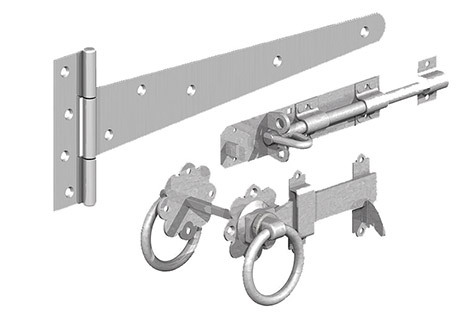 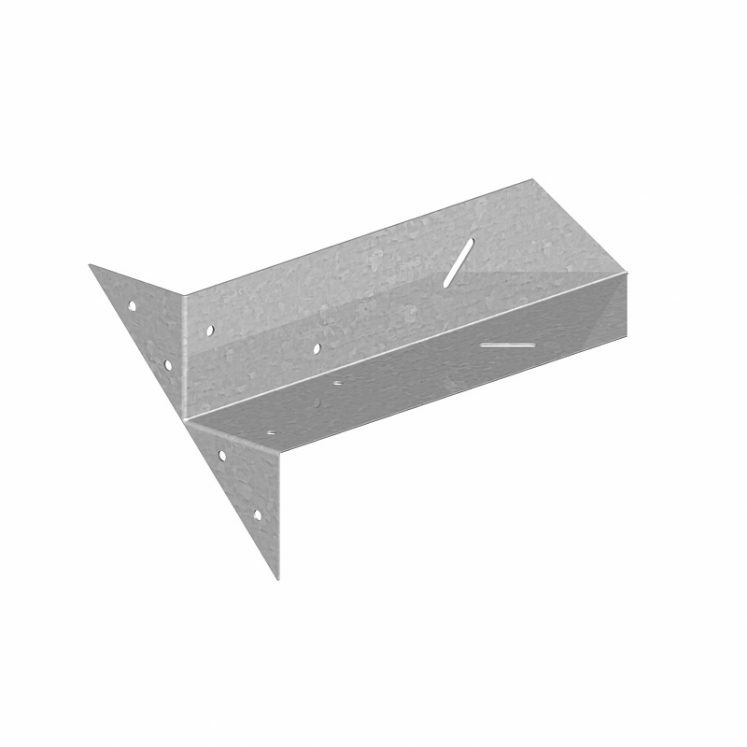 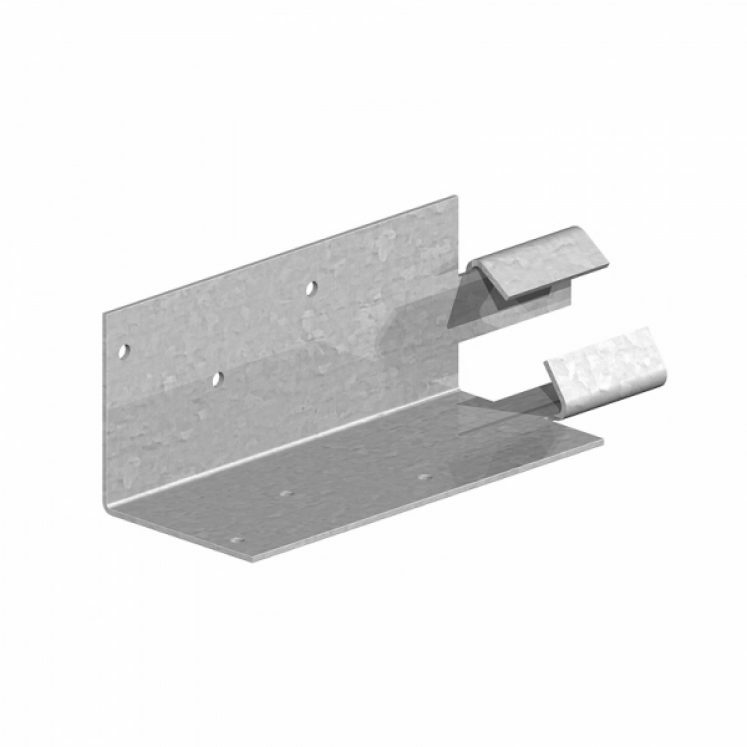 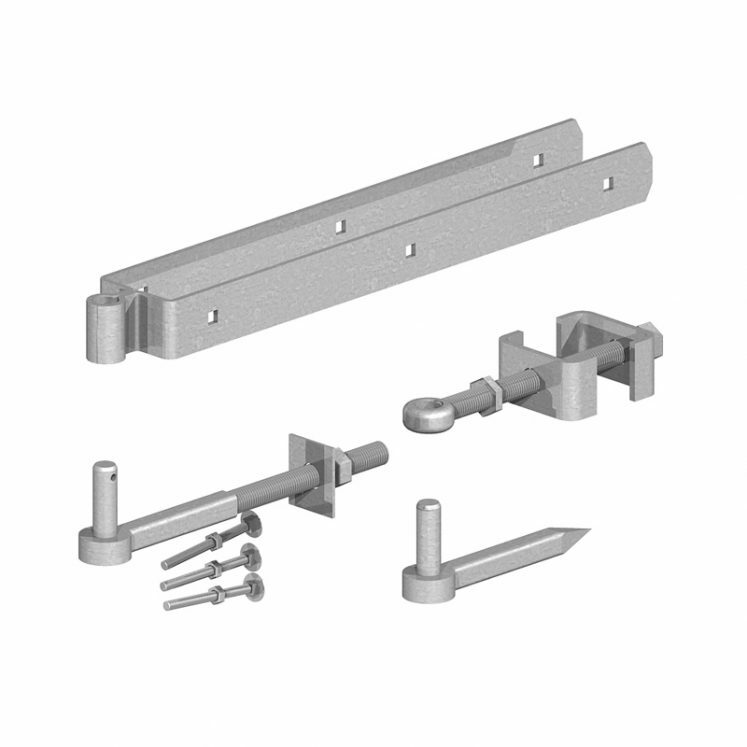 These adjustable hinge sets are available in sizes 12, 18 and 24″ and in galvanised finish. 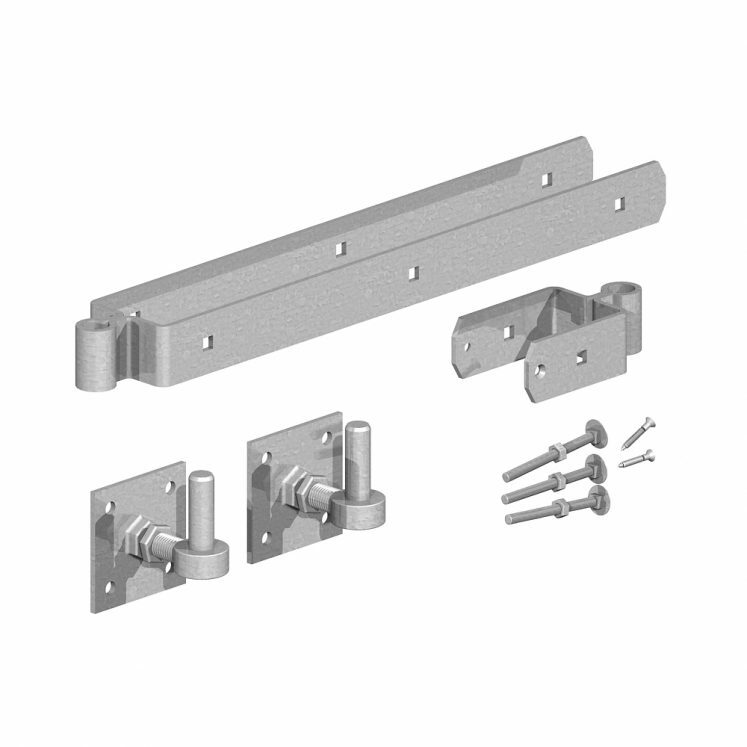 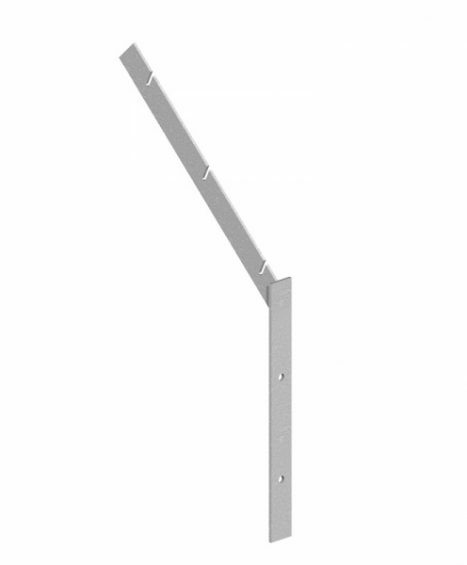 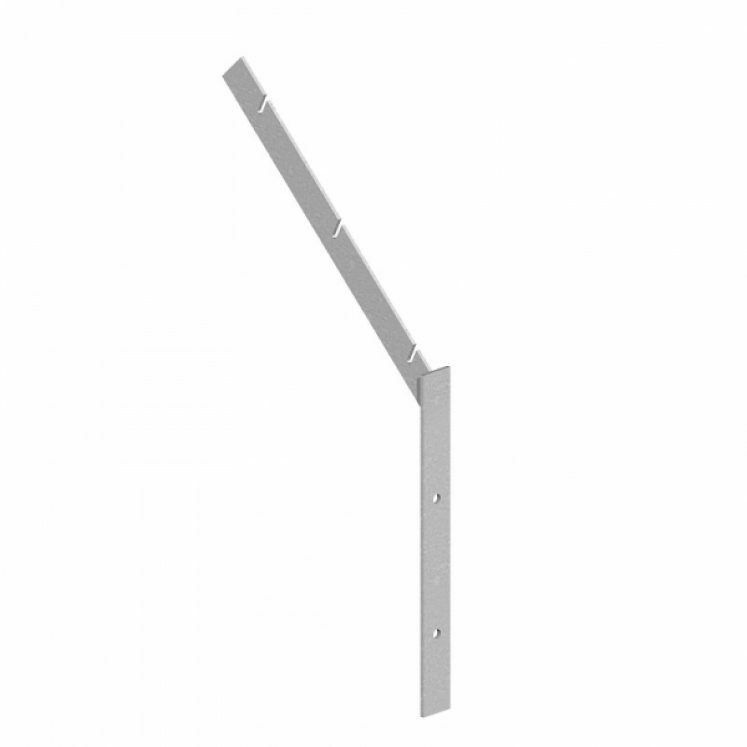 This adjustable hinge set with hooks on plates is available in sizes 12, 18 and 24″ and has a galvanised finish. 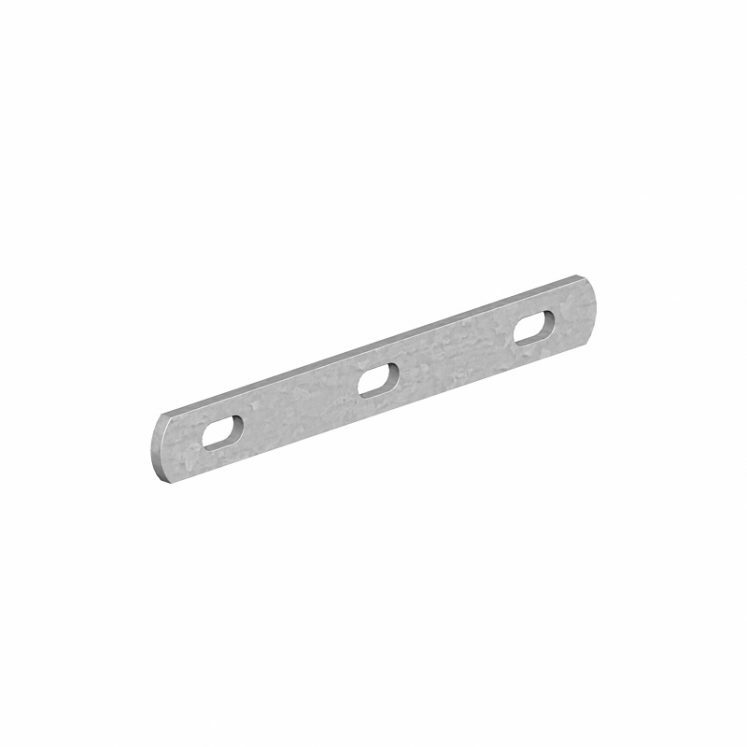 Available in 40mm and 50mm. 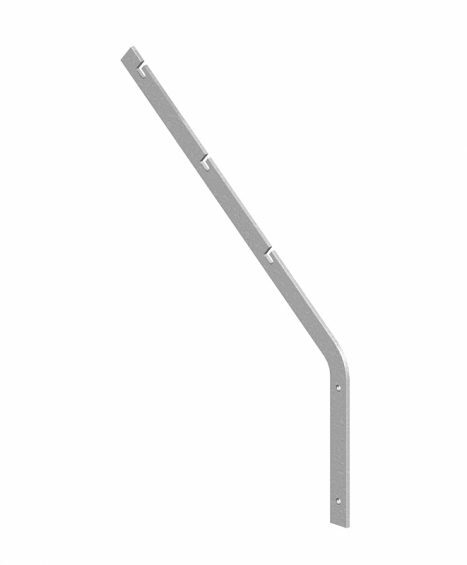 Available in Side mounted 15″ (375mm) and Face mounted 18″ (450mm).